This panel features a number of the most innovative women working in our film industry today and major talent to watch. Join us to gain insight into their works, processes and learn more about contemporary Indigenous filmmaking in Canada. This panel will feature filmmakers Asinnajaq (Three Thousand), Sonia Bonspille Boileau (The Oka Legacy, Skindigenous) and Brittany LeBorgne (Mohawk Girls). 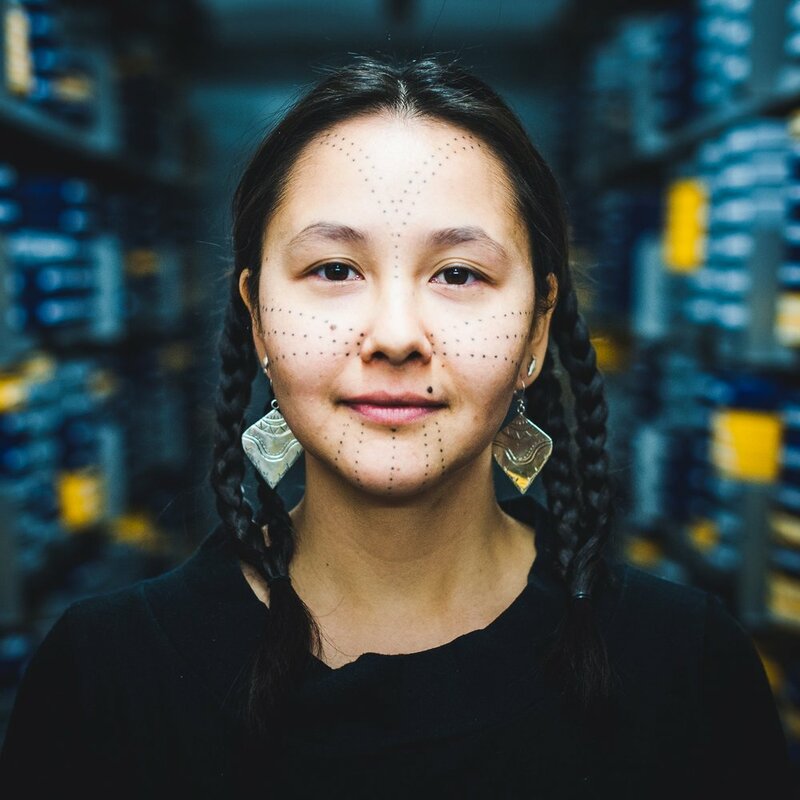 Asinnajaq, also known as Isabella Rose Weetaluktuk, is a visual artist, filmmaker and writer based in Montreal. Asinnajaq's practice is grounded in research and collaboration, which includes working with other artists, friends and family. In 2016 she worked with the National Film Board of Canada's archive to source historical and contemporary Inuit films and colonial representations of Inuit in film. The footage she pulled is included in her short film Three Thousand, which has screened around the world including the 68th Berlinale. The film was nominated for Best Short Documentary at the 2018 Canadian Screen Awards by the Academy of Canadian Cinema & Television. Brittany LeBorgne is a Mohawk actor from the community of Kahnawake. She is best known for her role as Zoe on the award-winning APTN series, Mohawk Girls, for which she received a nomination for Best Actress in a Comedy Series at the 2016 Canadian Screen Awards. She has also appeared on The Bold Type (Freeform), and will next appear in the upcoming feature film, Rustic Oracle, and CBC’s Street Legal. When she’s not in front of the camera, Brittany is behind the scenes as a director, for APTN’s documentary series’ Dream Big and Working It Out Together III, and CBC’s digital documentary series, Thunderblanket. Sonia is a bilingual Mohawk filmmaker who has been working for the past decade at bringing Indigenous content to the screen for viewers of all cultural backgrounds. Sonia won the Prix de la Diversité at the 2011 Gala des Prix Gémeaux for her documentary Last call indian. In 2015 Sonia wrote and directed her first feature film Le Dep, which made the official selection of several prestigious festivals around the world. She also made a feature documentary about the impacts of the 1990 Oka Crisis called The Oka Legacy, which earned her a Golden Sheaf award at the 2016 Yorkton Film Festival. Beyond film and television Sonia is still very much involved in community-based and corporate productions that focus on the wellbeing of Indigenous peoples in Canada. Sonia is also the 2016 recipient of the APTN Award of Distinction given during the Montreal’s First Peoples Festival and is currently in production of her second dramatic feature film Rustic Oracle. Latonia Hartery is a writer, director, and producer who has worked in the film industry worldwide, in both documentaries and narrative fiction, since 2010. Her films have been shown in over 30 countries. She has PhD, and specializes in the indigenous archaeology and history of Newfoundland, Labrador and circumpolar world. She is from Bay D' Espoir which is home to the Miawpukek First Nation. She is also the president of AARA Inc. a non-profit that researches and promotes cultural heritage and artistic resources in the North.